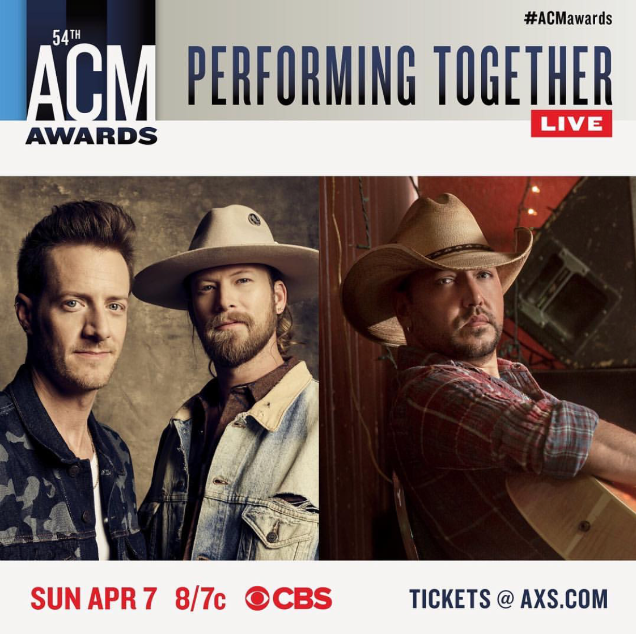 The ACM Awards® will once again feature “ACM Flashbacks,” a fan favorite moment honoring classic country music hits and/or the artists whose music continues to influence musicians and fans alike. 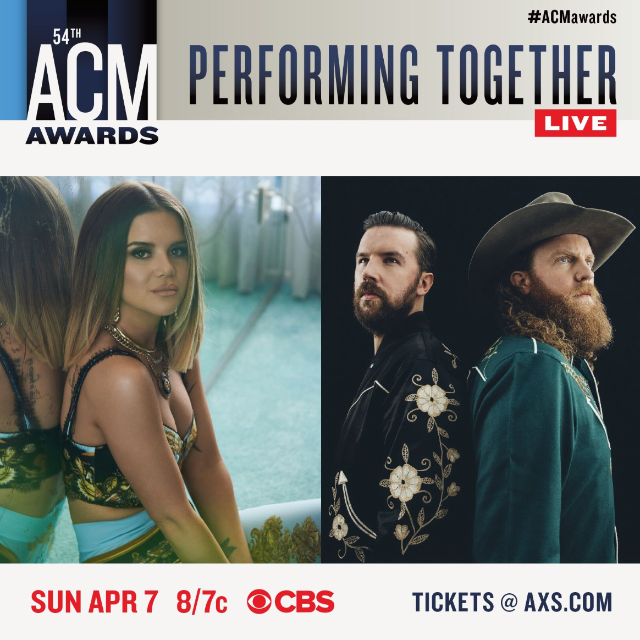 This year’s “ACM Flashbacks” will feature Brooks & Dunn performing with Luke Combs, and George Strait performing with Miranda Lambert. 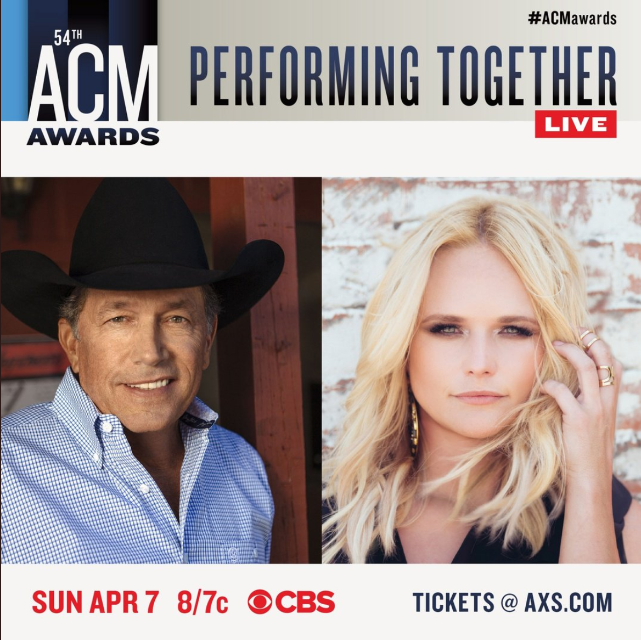 In addition, Miranda will perform a flashback medley of her greatest hits. 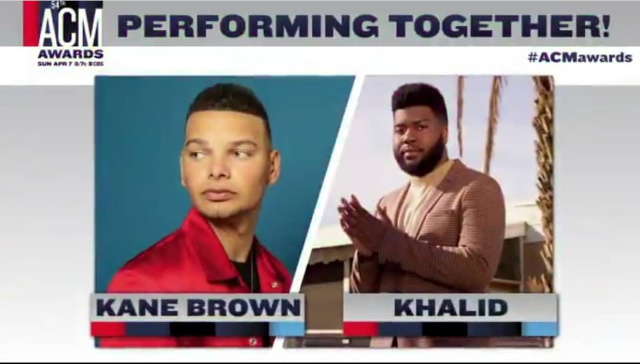 Global superstar Khalid has been added to the star-studded lineup and will perform with Kane Brown. 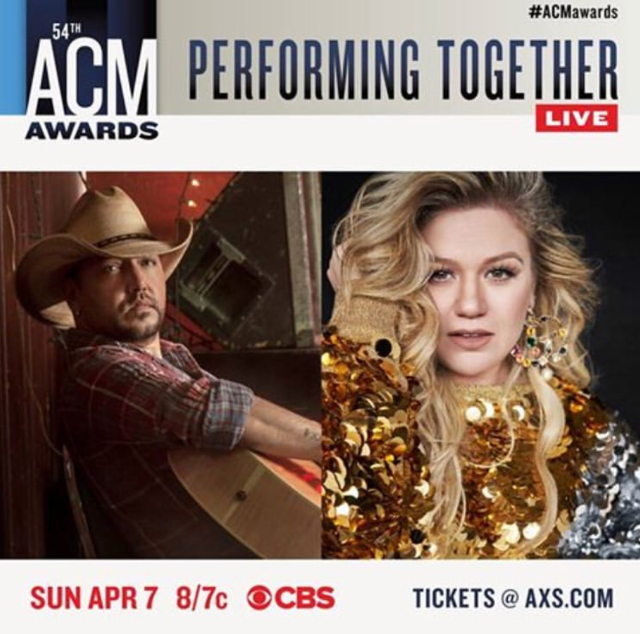 Additional exciting collaborations include Jason Aldean & Kelly Clarkson, Dierks Bentley & Brandi Carlile, Eric Church & Ashley McBryde, Dan + Shay & Kelly Clarkson, Florida Georgia Line & Jason Aldean, and Maren Morris & Brothers Osborne. 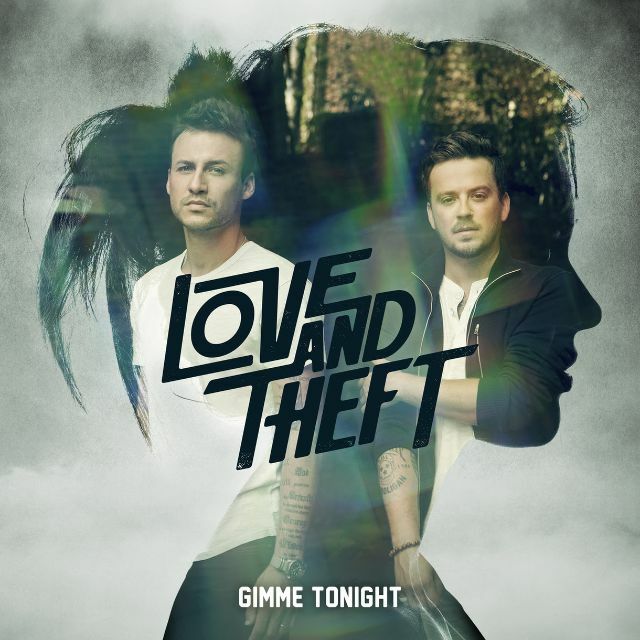 Love and Theft (Team CURB) return to the forefront with their new single “Gimme Tonight.” The sultry upbeat jam written by Jaren Johnston (The Cadillac Three) and the late Andrew Dorff, will be available worldwide on April 19th. 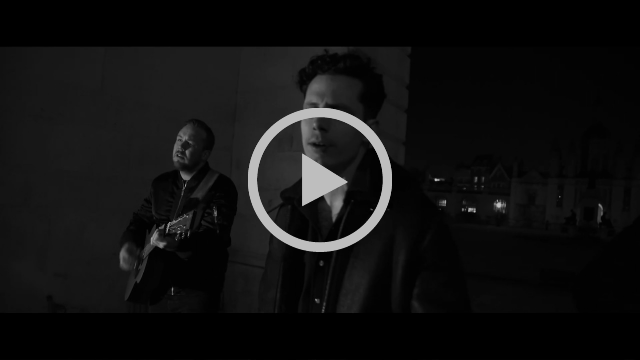 With this release, produced by Love and Theft, Josh Leo and Jim Ed Norman, the duo continues to evolve and push boundaries with their music by featuring their signature harmonies wrapped in a fresh modern sound and production. 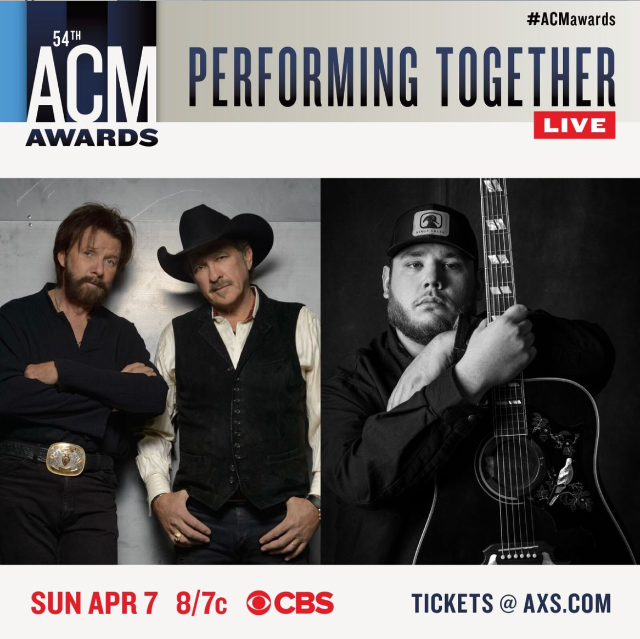 Luke Combs (Team Sony) makes history this week as the first artist to simultaneously top all five Billboard country charts for multiple weeks: Top Country Albums, Hot Country Songs, Country Airplay, Country Streaming Songs and Country Digital Song Sales (all dated March 30). 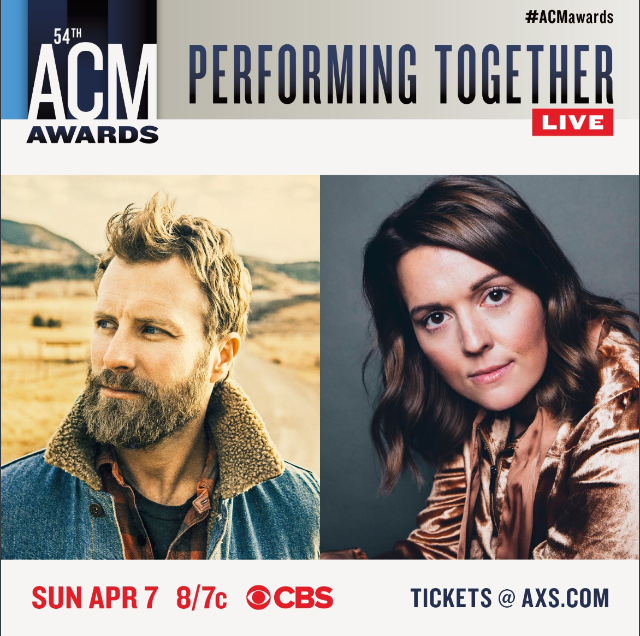 The 2019 ACM Award-winner for New Male Artist of the Year first achieved this feat the week of March 9. 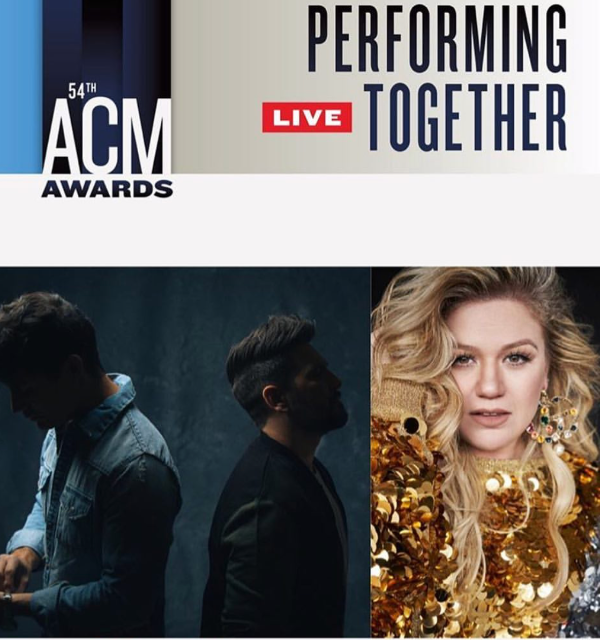 Brett Young (Team Big Machine) wrapped his third SOLD-OUT show in Los Angeles at The Novo, making him the first country artist to have three shows in a row at the iconic venue. 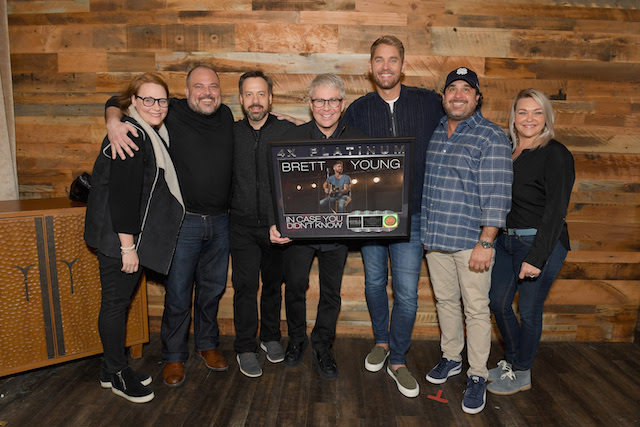 Backstage, Brett was presented with a special plaque commemorating his smash hit “In Case You Didn’t Know” achieving 4x-Platinum status! 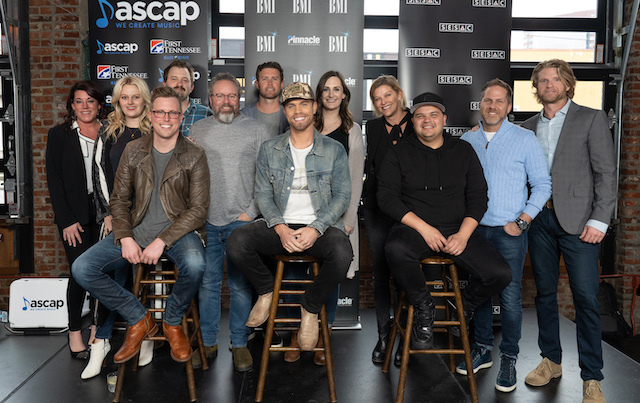 Dustin Lynch (Team Broken Bow) celebrated his first #1 hit as a songwriter, “Good Girl,” at a party hosted by ASCAP, BMI and SESAC in Nashville. 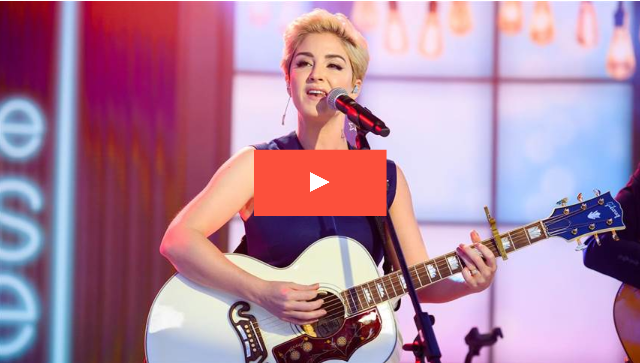 This is DL’s sixth #1 as an artist. Co-writers DL (Team BMI), Justin Ebach (Team SESAC) and first-time chart-topper Andy Albert (Team ASCAP) expressed their immense gratitude for the hard work and devotion of the crowd of industry pros, family, and friends in attendance that helped take the easy-breezy chart-blazer all the way to the top.